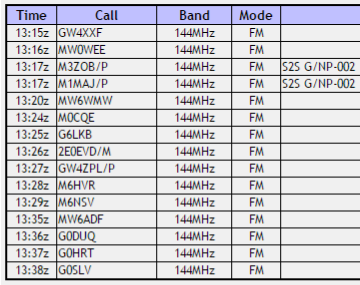 M0PLA/P SOTA Activations: 4th March 2017. GW/NW-011 SOTA Activation visit. 4th March 2017. GW/NW-011 SOTA Activation visit. GW/NW-011 Arenig Fawr. 4th March 2017. Grid SH 827369. Altitude 854m. This was going to be the hardest summit we have completed so far. We left home at 8:15 a.m. (Telford) and headed towards Wales on the A5, eventually turning onto the A494 sign posted to Bala, then finally on the A212 which took us past Llyn Celyn Reservoir. Then we turned left down a small road signed Arenig 1 mile (Arenig Fell Race), this took us to grid SH 82271 39259 a small pull in with room for a few cars time 10:25 a.m.
We parked at the blue circle on the above map and made our way up the green route, following rough directions from other Sota blogs. We found it hard going and was glad that we had purchased gaiters and walking poles as we found lots of boggy areas. The gaiters and poles saved us from a good soaking more than once. A very good idea to purchase these, a suggestion from M0JZH (John) a good friend of ours. We had many stops on the way up for a breather and the odd drink of water and Kendal mint cake. We thought Cadair Berwyn was hard but we believe this is harder. Then I gave out a CQ call and moved off to 145.550 mhz as usual, I had a pile up like I have not had before, 17 qso's in 23 minutes. All I can say is thank you all it was great. I tried HF but the whole band was covered with contests, guys keep away from the QRP sections please. Our descent had a few little problems (wish we had not listened to others). The first thing we found there was not really any prominent tracks and with the covering of snow made it a little tricky. Eventually we made it to the quarry which had its own lake area, we followed the track we had found and came across a small stream crossing with a ladder across it (as seen above). Yes I agree it was an easier, well not as steep ascent but it turned into 3 times as far to go. So in the end we had a final walking distance of 9.2 miles. (I suggest if you go up to this summit come down the same way). 25th March 2017. G/WB-014 SOTA Activation visit. 25th March 2017. G/WB-018 SOTA Activation visit. 25th March 2017. G/WB-015 SOTA Activation visit. 18th March 2017. GW/NW-018 SOTA Activation visit. 11th March 2017. GW/NW-049 SOTA Activation visit.